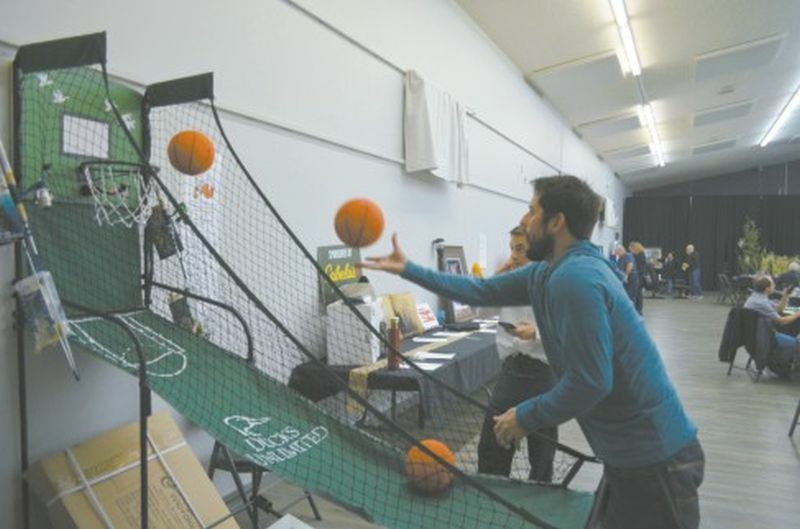 Supporters of Ducks Unlimited Canada attended the annual banquet at the Centre Chevaliers in Falher on October 20, which featured various types of merchandise for sale. One-hundred and sixty people attended the banquet, and they enjoyed either roast beef or baked salmon as the main course for dinner, along with salads, rice and dessert. Darby Heckbert said grace prior to dinner. 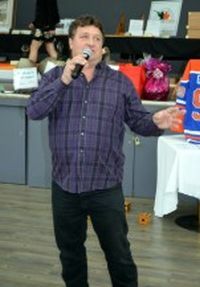 There was a silent auction, live auction and various raffles. Mark Heckbert, the chairperson of the Smoky River Ducks Unlimited Committee, explained that they changed up this year’s merchandise to make it more experiential. 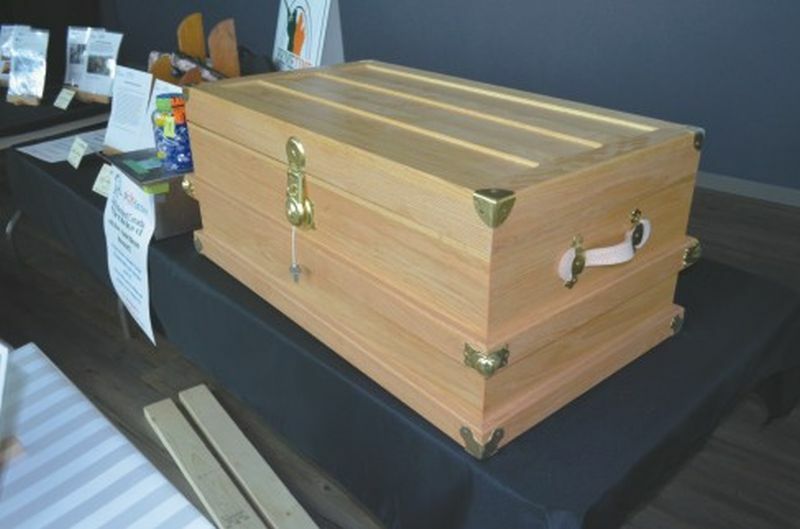 Silent auction items included agricultural toys, a first aid kit, a pizza board with cutter and camouflage clothing. DUC items included framed paintings, a valet box, a small three-legged table and a trunk. The raffle items included a .22 rifle, two 12-gauge shotguns and a bolt-action rifle. Ron Marquardt of High Prairie was the auctioneer for the live action. Guests also had their choice of playing a Texas Hold ‘Em Poker game by throwing darts at cards on a wall, or the Slam Duck Shooter game, which consisted of throwing three small basketballs into a net rapidly for one minute. There was also a High Flyer Prize contest. Thirteen special chairs were auctioned off, and the winner who had the lucky chair had their choice of eleven prizes, ranging from a Montreal Canadiens Autographed Package, to a Ducks Unlimited 80th Anniversary Browning Silver Hunter. Other special games included the Runt of the Litter, with the winner choosing one silent auction item, and the Pick of the Litter, with the winner choosing a live auction item. There was also the Ladies Raffle and a duck calling contest, as well as a smoker raffle and ‘Plinko’. All proceeds from this event will go to DUC projects in the Smoky River region and across Canada. Josh McNeil takes his turn at the Slam Duck Shooter game. One of the items up for auction as part of the Ducks Unlimited banquet, held at the Centre Chevaliers in the evening of October 20.